We’re a Bellingham-based general contractor, specializing in sustainable and high performance residential building projects. 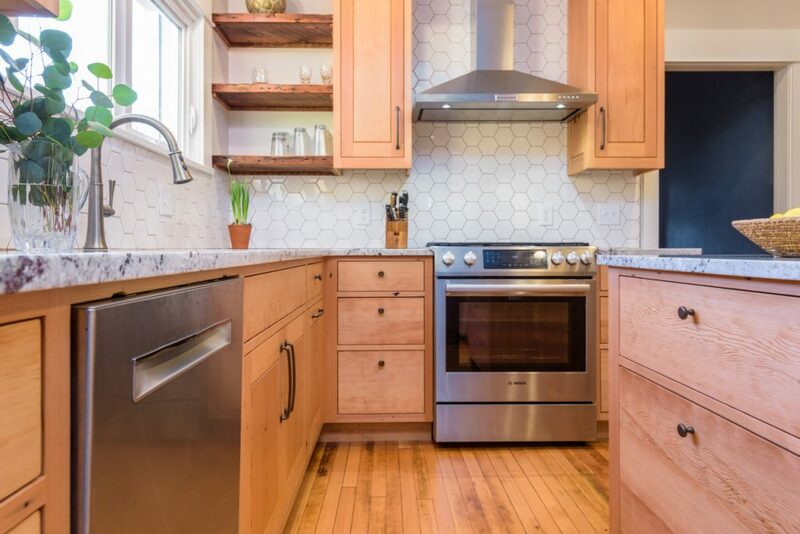 The majority of our projects are major residential remodels within Bellingham’s core neighborhoods, including kitchens, whole homes, and additions. We also build custom new homes and complete tenant improvement projects. All of our jobs include major building performance updates because we believe that it’s not enough for a home to be beautiful, it should also be comfortable, healthy, durable and efficient. Perhaps the most important aspect of being a general contractor is communication. On a daily basis we’re communicating with clients, designers, engineers, trade contractor, our crew, suppliers, house cleaners, and more! We use a handful of strategies and tools to ensure that everyone is on the same page and that nothing gets dropped. The two most important are our great Site Superintendents, who are on-site daily, and our online project management system. Our Site Superintendents primary job is to manage the job site. They are in charge of the crew, trade contractors, supply orders and they interface with the client daily to answer questions and address any concerns that might come up. We use the online project management system to facilitate fast and effective communication between clients, designers, vendors and trade contractors. It’s great for clients that are out of town frequently and on complicated projects. In addition to having a Site Super on site daily and using an online project management we have weekly clients meetings and of course we’re happy to communicate via email, text, phone and in person!